presented at the Plenary Session of ITC, October 30, 2018 at 9 am. Test methodology changes have historically been driven largely by necessity—critical needs for cost reduction or quality improvements. This history makes possible the prediction of future changes. Dr. Rhines will review the driving forces for prior discontinuities in design-for-test, analyze the rates of adoption of new test methodologies, and discuss the likely forces that will change our test priorities in the future. Kenneth P. Caviasca is vice president in the Internet of Things Group and general manager of architecture, silicon and platform engineering at Intel Corporation. He has overall responsibility for computing platforms targeted to the Internet of Things (IoT) market segment, including planning, architecture, user experience priorities, silicon definition, operating system porting, hardware, firmware, validation and manufacturing test. The IoT platforms developed by his team encompass product offerings based on Intel® Atom™, Intel® Core™ and Intel® Xeon® processors. Since joining Intel in 1984 as a silicon engineer in automotive controllers, Caviasca has held various technical and management positions in flash microcontrollers, embedded devices, video signal processors, security devices, chipsets, network processors, server processors and manufacturing operation startup. Before assuming his current position, he managed platform development for the Intelligent Systems Group, overseeing hardware, validation and software integration development. 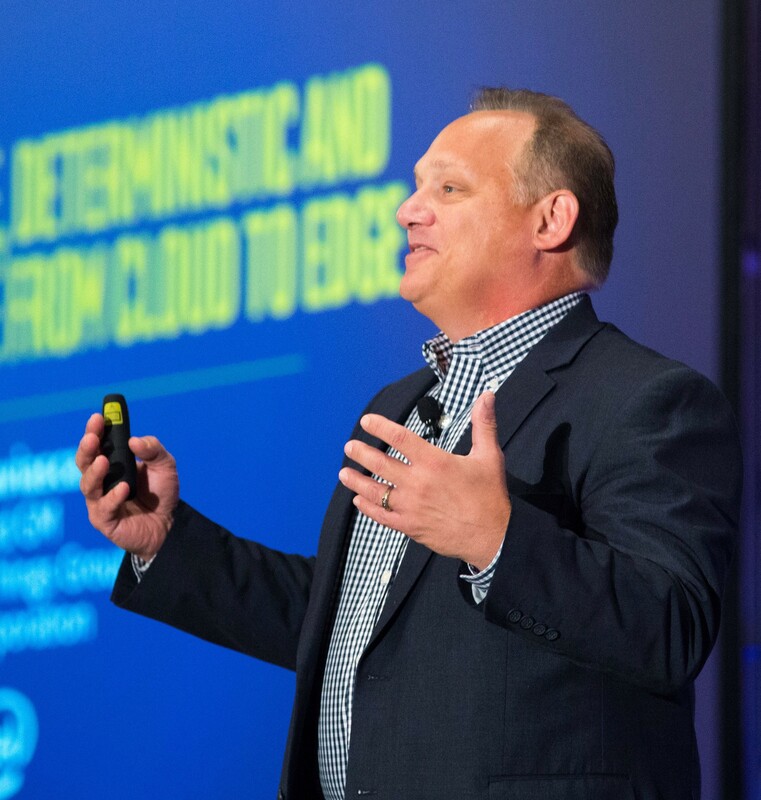 Earlier in his Intel career, he managed silicon development for the Communication Infrastructure Group and led a team responsible for delivering system-on-chip, server-class and chipset products for the embedded and communications market segment. Between 2008 and 2010, Caviasca’s development team won several premier supplier awards from industry-leading communications equipment suppliers. He and his team also won an Intel Achievement Award in 2004 for excellence in network processor development. Caviasca earned his bachelor’s degree in computer and electrical engineering from the University of Bridgeport in Connecticut and his MBA degree from the W. P. Carey School of Business at Arizona State University. He holds seven patents in circuits, CPU and video systems architecture. Matthew Casto presented, Trick or Treat: Is Your Supply Chain Safe? Wednesday, October 31, 2018. Much like candy that ends up on the kitchen table at the end of a successful Halloween night, the microelectronics supply chain is a diverse bag of goodies that needs to be checked before it can be consumed. This talk will explore challenges and opportunities in trusting and assuring an increasingly complex electronics global supply chain. 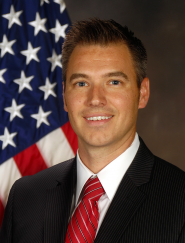 Dr. Matthew Casto is Chief of the Air Force Research Laboratory, Sensor’s Directorate, Trusted Electronics Branch and is the Air Force’s Hardware Assurance technical lead for the Department of Defense (DoD) Joint Federated Assurance Center. Dr. Casto is a Senior Electronics Engineer with a BSEE and MSEE degree from Wright State University, and a PhD from The Ohio State University Electro-science Laboratory. In his current role, Dr. Casto leads the Science and Technology portfolio for the DoD’s Trusted and Assured Microelectronics Initiative, developing a new trust approach to ensure enduring availability and assured access to state-of-the-art microelectronics. 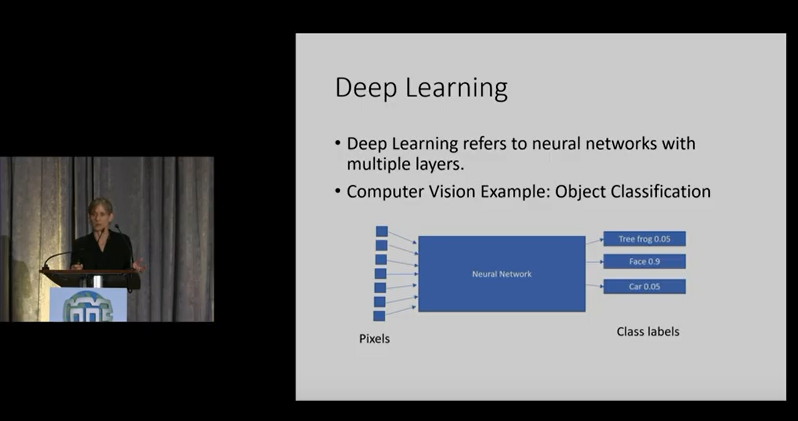 Recently Deep Learning, e.g. employing many-layered neural networks, has revolutionized fields such as Computer Vision and Natural Language Processing. What factors have lead to such remarkable advances in these fields and could the test field achieve similar gains? examine what is in use today and aspects that are being investigated for future deployment. I will discuss how Machine Learning, while showing great promise to solve challenging test-related problems, is not a one-size-fits-all solution. Separating the reality from the hype on how this technology can be successfully applied requires a solid understanding of the strengths/weaknesses of machine learning algorithms, and which applications are the best fit to the strengths. I’ll present real-world successes with applying AI-based semiconductor data analytics and show how these algorithms can outperform other approaches, when applied to the right class of problems. AI/ML (Machine Learning) is a tool that promotes formal data collection and value discovery. In a large telecom company with thousands of products, end-to-end data collection and analysis using ML technology is proven to be huge values and gradually becomes a “MUST” in the company process. This talk will use an example to demonstrate the framework in one of the applications. The financial tsunami a decade ago had somewhat slowed down the global semiconductor business, until late 2016 when AI suddenly gave everybody new hope. In the same period, however, the semiconductor business in Taiwan continued its growing trend, though on a slightly different track as the industry had expected. Like a chameleon, sort of, the industry has to quickly adjust itself to survive in the global market trend of cloud, IOT, and AI. In my speech, I will give my perspective on the strengths and surviving skills of the semiconductor industry in Taiwan, and give the outlook of the industry in the AI age.